THANK YOU TO EVERYONE WHO PARTICIPATED IN THE 2012 ANNUAL MEETING! 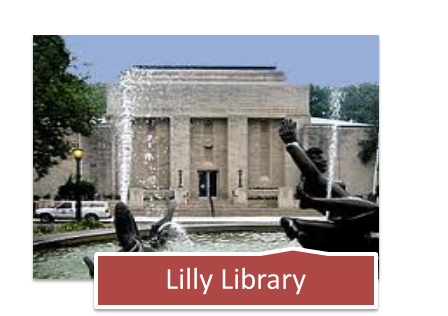 Join us on Friday, September 21st at the Lilly Library (map) for a reception sponsored by The Friends of Lilly, where you will be treated to a lecture of its treasures by Conservator Jim Canary. 4pm library tour / 5pm lecture / 6-8pm reception. Ralph Weigandt: Painted lithograph on glass. Emily Prehoda: Treatment of Edmund Linton Davison Paintings. Victoria (Tori) Luksha: Challenges of Firearms for Institutions. Susanne Davis: Balancing Preservation and Access in an Academic Museum. Rob Shakespeare: Gallery Lighting with LEDs. Daniela Leonard: The Golden Age of Spanish Painting in the Cincinnati Art Museum. Tom Edmondson: “No Dental Floss Tycoons Here”, as well as Ad Hoc Emergency Response (Sunday). 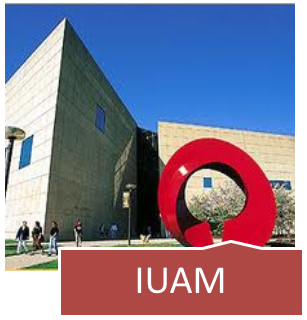 To take full advantage of having our meeting on a college campus, we have planned “behind the scenes tours” of three great IU resources: the Lilly Library, the Ruth Lilly Auxiliary Library Facility (ALF) and of course, the Indiana University Art Museum. The annual Lotus World Music and Arts Festival celebrates the diversity, beauty, and joy of music and arts from cultures around the world. 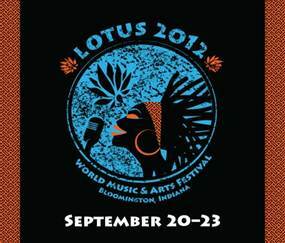 The Festival is proudly based in downtown Bloomington and named in part for Indiana musician Lotus Dickey (1911-1989). A wristband is your passport to multiple performances each showcase night, at multiple venues. Stages range from the Buskirk-Chumley Theater to standing-room-only street tents, to churches where traditional music shines. Design your own Lotus experience: Fit every performance into your schedule, dashing from venue to venue, or savor just a few. Keep your options open for the unusual and the unexpected. Lotus offers both ticketed showcases and free events for all ages. Saturday’s Lotus in the Park is packed with live performances, hands-on art projects, and interactive workshops with Festival artists. Please visit: http://www.imu.indiana.edu/hotel/ for more information. Hi. I will be new to the annual conference in Bloomington. Is there an agenda? Is the reception tomorrow the first event? Sorry for the delayed posting of your comment– I’m still new to WordPress! Hope you enjoyed the meeting.